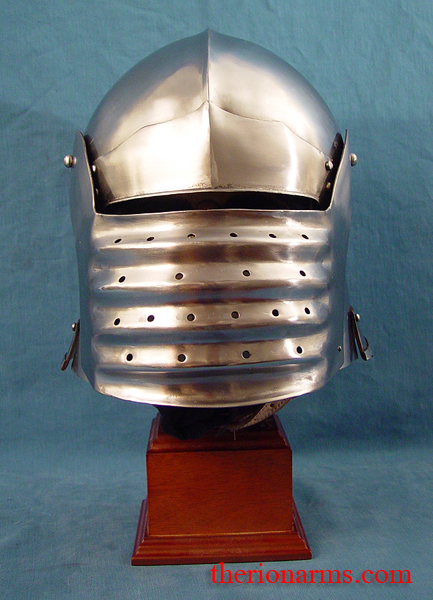 Italian bellows face sallet (also known as a salade). 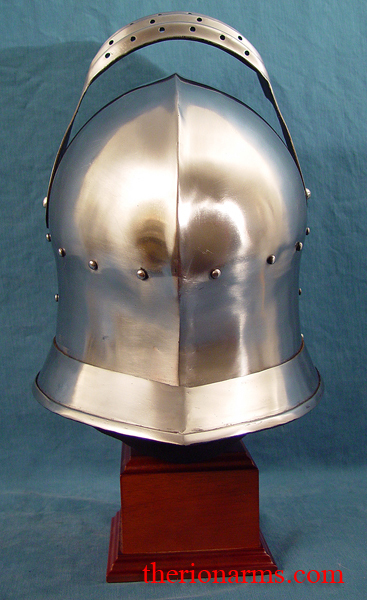 Popular throughout Europe in the late 15th and early 16th centuries. 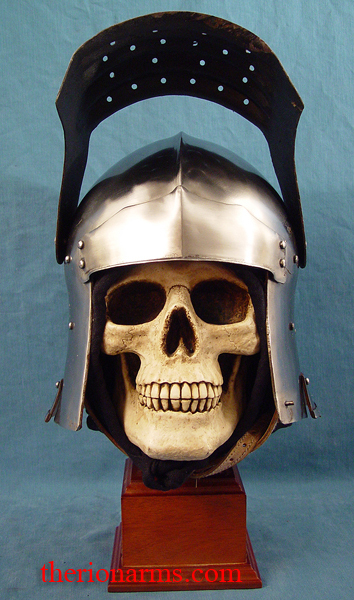 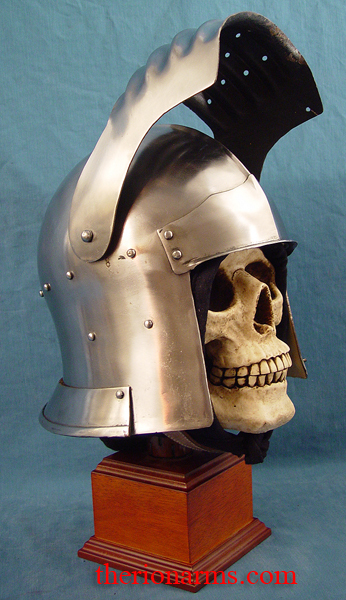 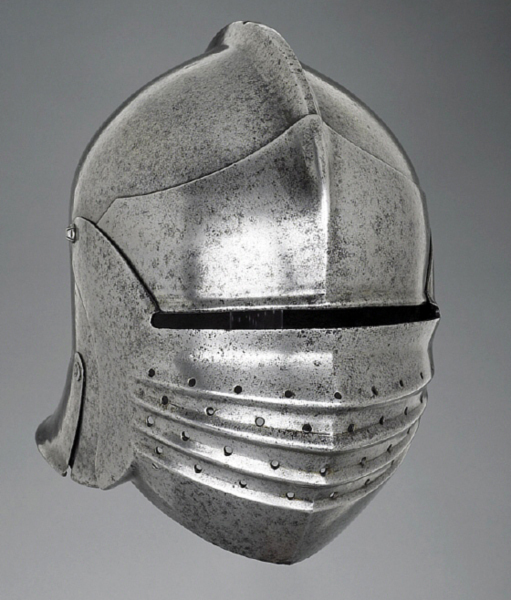 This helm is based on an example from the Wallace Collection (A72) dated to 1500-1520. 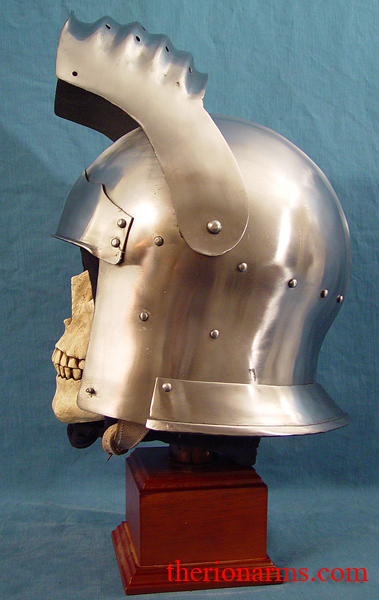 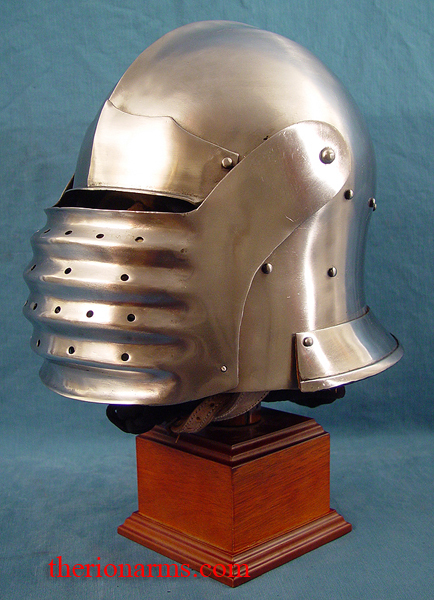 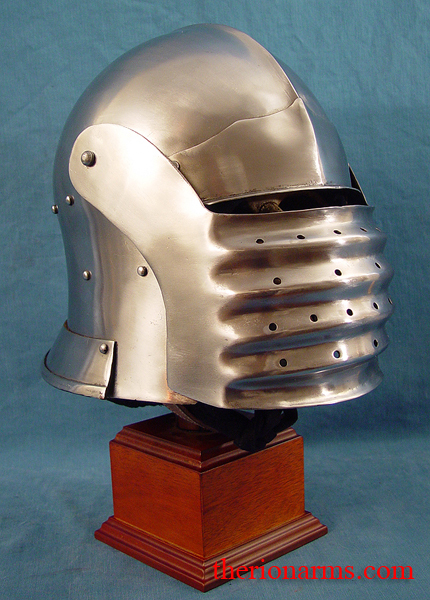 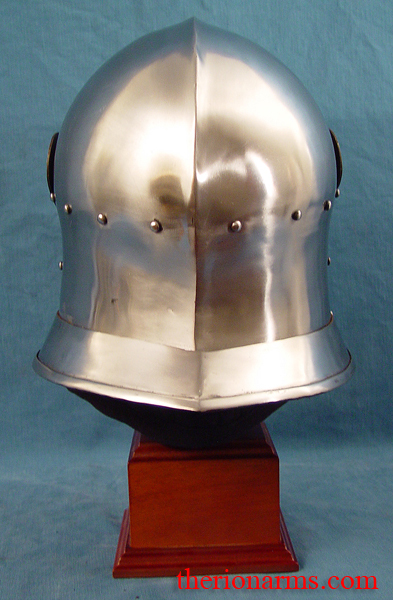 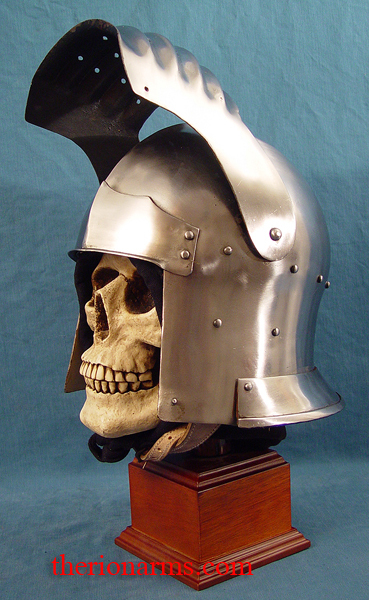 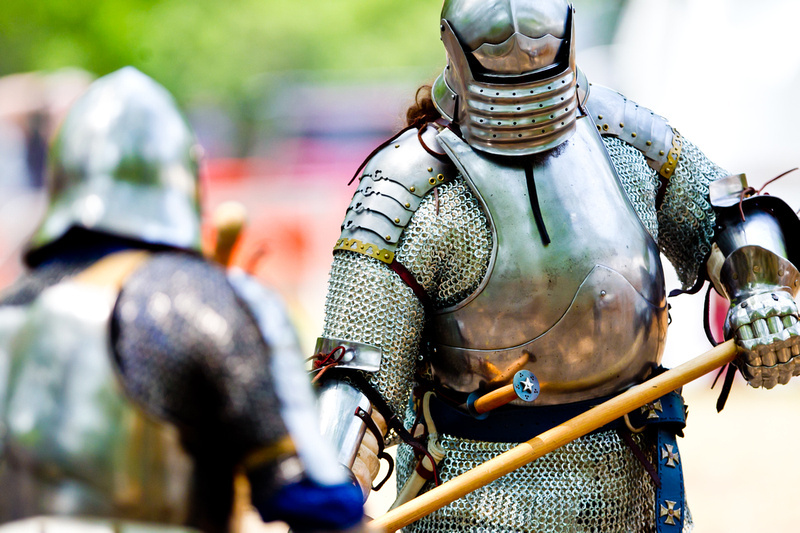 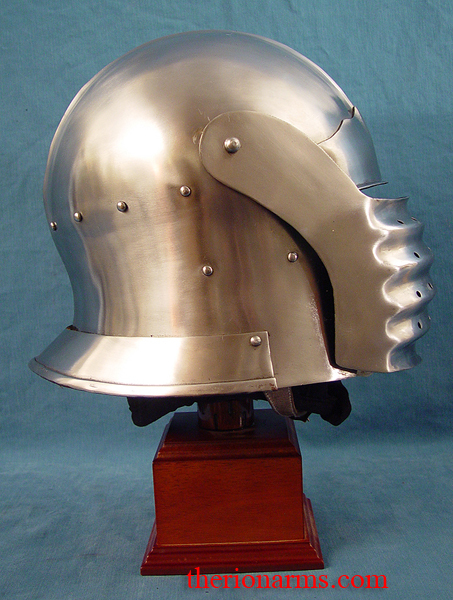 It is an Italian export piece, and the tradition of the separate helmet bowl and large falling lame goes back as far as the 1470's as a rapid way of turning out a mass-produced open sallet - there are a lot of this type in the catalog of Arms and Armour from Rhodes. 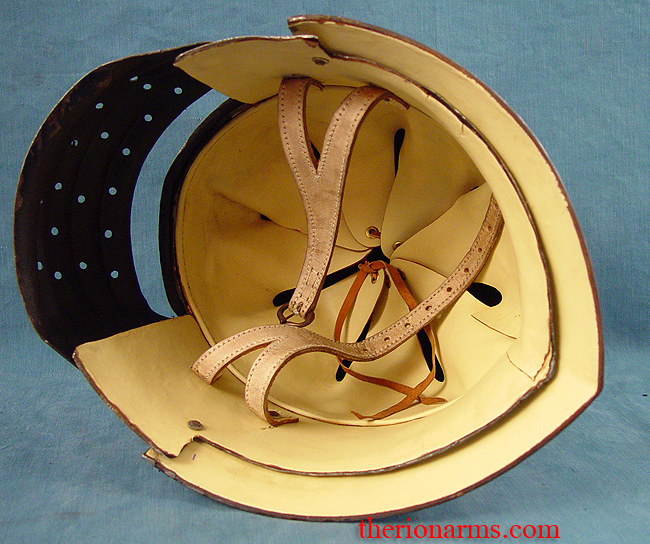 14 gauge mild steel with a leather liner, suspension harness, and chin strap. 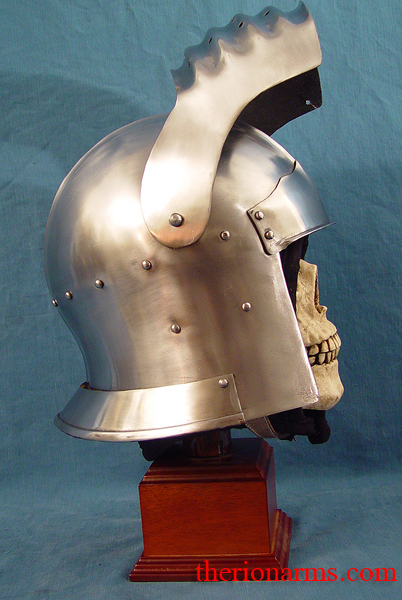 Made by GDFB (Get Dressed For Battle). 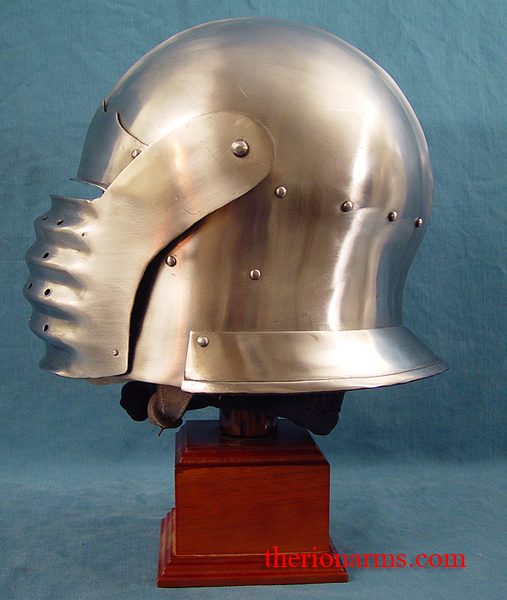 Medium - outer circumference 25"
Large - outer circumference 26"
I recommended that you order the large and add padding.